“It is time to make our voices heard,” say journalists and communications experts in the Pacific region. Pacific Island countries are endowed with breathtaking beaches, vast rainforests, active volcanoes and pristine landscape. It is an enormous region with approximately 30,000 islands spread throughout the Pacific Ocean. 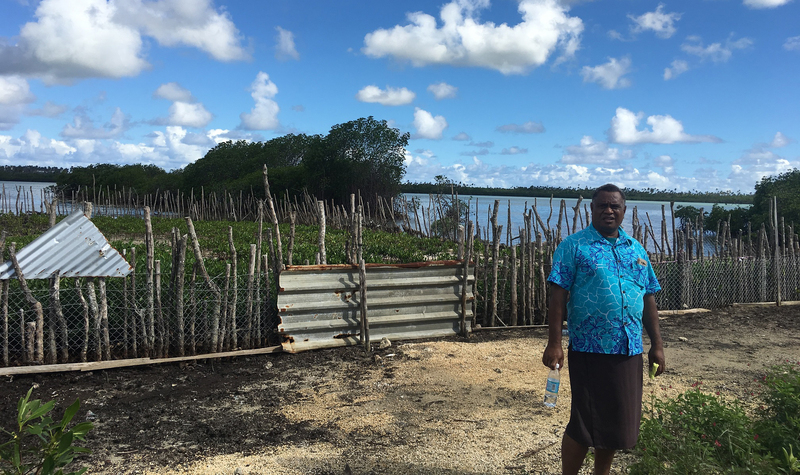 At the mangroves site in Tonga with PEJN President Illiesa Tora. But beneath the inherent beauty of the region lurks a troubled reality. 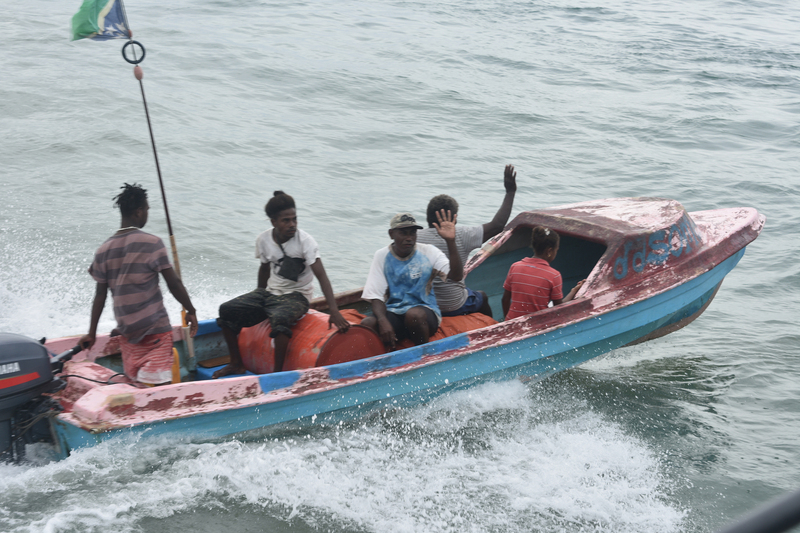 The region confronts a combination of severe challenges from devastating cyclones, storm surges, floods, droughts, coral bleaching and rising seas that threaten low-lying islands. These issues, scientists and ordinary people agree, threaten the very existence of more than 8.85 million people. The environmental changes in the Pacific communities are evident in the Kingdom of Tonga, a deeply conservative and highly religious country. On February 12, the country was hit by Gita, a Category 4 Tropical Cyclone that caused more than US$156 million worth of damage and displaced over 4,500 people, according to data from Tonga’s Ministry of Finance and National Planning Office. 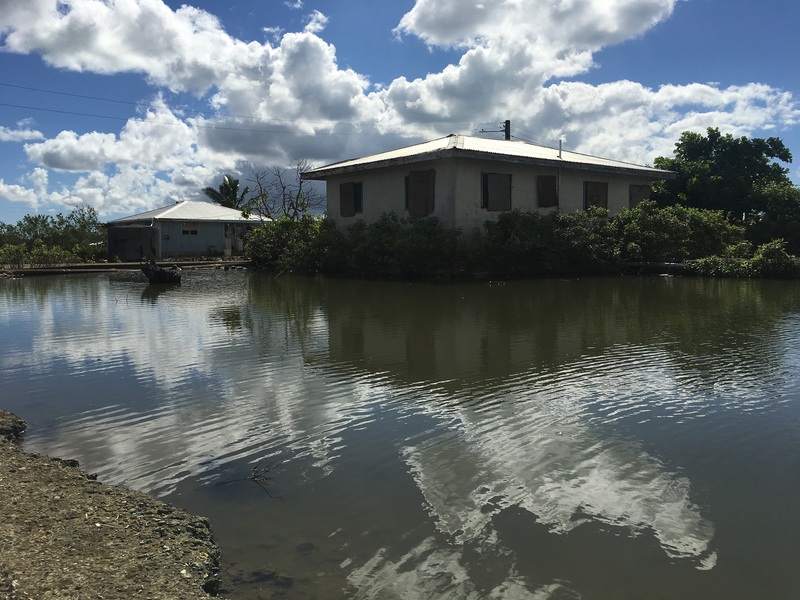 A house is submerged in water in Tonga after the tropical storm. While still recovering from the destruction in Tonga’s capital, Nuku’ alofa, the Government of Tonga decided to host one of the biggest gathering of journalists in the Pacific, the 5th Pacific Media Summit from May 7-11, 2018 organized by the Pacific Islands News Association (PINA). This provided journalists with the opportunity to discuss development issues confronting the media in the Pacific as well as show the rest of the world that people of the Pacific have been confronting the impact of rising sea levels, climate change and other environmental issues. Stevens said it was encouraging to see journalists taking the initiative to strengthen environmental journalism in the region and highlight the building of community resilience to climate change and other environmental issues. PINA welcomed the support of Internews’ Earth Journalism Network (EJN) in formally launching the Pacific Environment Journalists Network (PEJN) during the weeklong summit, which was attended by more than 100 journalists, development partners, government officials, academics and business people from 16 countries in the Pacific Region and from other countries. The summit was attended by Tonga Prime Minister Akilisi Pohiva. 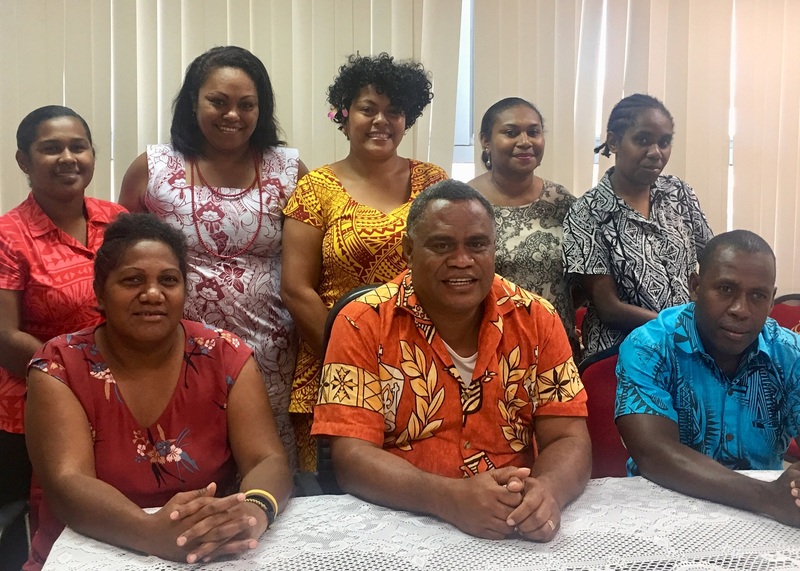 Founding members of the Pacific Environment Journalists Network (PEJN) launched in May 2018 in Tonga. EJN’s new project is focused on boosting the quantity and quality of environmental coverage in Asia and the Pacific region and is supported by the Swedish International Development Cooperation Agency (SIDA). The launching of PEJN and the two-day workshop during the media summit are just a couple of the many activities EJN has planned for the Pacific Islands. Others include learning trips, story grants, local media awards, content for the Infopacific.org website and attendance to Pacific region environment-related events. “With the presence of PEJN in the Pacific, we can now network and coordinate so that we are able to share our ideas and stories across the region,” said Tongan journalist Illiesa Tora, president of PEJN. Tora led the environmental workshop at the summit with local journalists where they discussed how journalists deal with the challenges posed by climate change-related issues and how the roles of Pacific Islands journalists have changed over time in reporting on environment. Communicating environment and climate-related issues is a formidable challenge for local journalists. Several challenges that were identified include: lack of capacity to report on environmental policies; lack of access to information and experts; changing media landscape or a need to report in innovative ways; and the lack of training to be more effective in writing compelling stories. “Journalists have critical roles to play on what Pacific Islands can do to adapt to the impacts ahead and in reporting what government policies are in place in responding to these threats. We can and we should do more in telling our story and raise the Pacific voices,” Tora explained. With the clear and present threat, mainstream media coverage of environmental or climate -related issues are under-reported. This was acknowledged by Palau Media Council Chairman Moses Uludong who is also the publisher of the longest-running newspaper in Palau, the Tia Belau daily newspaper. For Meneoni Mili, a student journalist from the University of the South Pacific in Fiji, said grappling with the subject matter of climate change science is perhaps one of the challenging tasks young journalists face. “Linking journalists to experts would be extremely beneficial in understanding and raising the profile of climate change, for instance, in the Pacific media,” Mili said. Geoffrey Smith, Internews’ EJN Content Coordinator for Fiji, said EJN’s program in the Pacific region is a big boost in developing the skills of journalists in reporting environmental issues that will influence policymakers in crafting solutions to address local issues. Like Smith, Internews’ EJN Content Coordinator for Papua New Guinea Benjamin Kedoga, is optimistic that through the EJN’s various activities in the Pacific region, such as capacity building workshops and story generation, it will allow journalists to take stock on regional and national policy development and discuss opportunities for better reporting on the environment. Imelda V. Abano (middle), Geoffrey Smith (left) and Benjamin Kedoga (right) are the Philippines and the Pacific Region Content Coordinator for Internews’ Earth Journalism Network.